The revolutionary designed LUNA 2. The LUNA™ 2 has 4 new brush designs and 2x the T-Sonic™ power, providing a tailor-made experience. 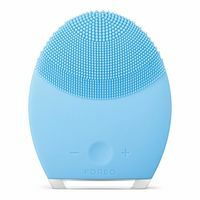 Perfectly positioned thin and thick touch-points for a gentler or stronger cleanse depending on your skin’s needs. The extra powerful, deep cleansing LUNA™ 2 lasts an amazing 360 uses before needing a recharge from its simple usb charger (included). Fitting in the palm of your hand, the LUNA™ 2 is the perfect addition to your daily cleansing ritual, whether you are at home or on the go. 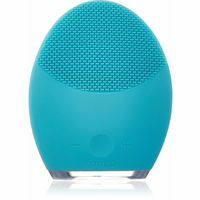 The next-generation LUNA 2 facial cleansing brush utilizes up to 2X the T-Sonic power to gently exfoliate dead skin cells, unclog pores of makeup residue, and remove up to 99.5% of dirt and oil. 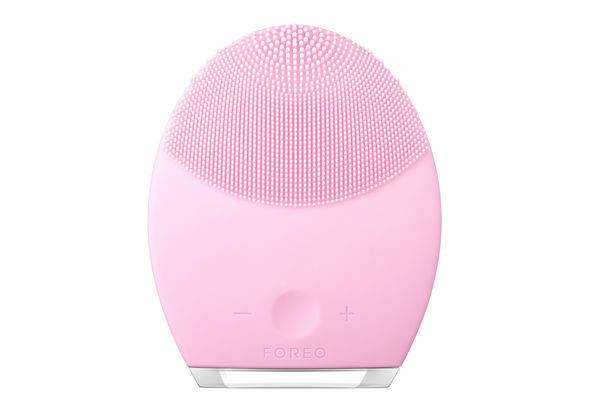 The LUNA 2 face brush also improves the absorption of your favorite skincare products. Its reverse anti-aging side uses lower-frequency pulsations to visibly reduce fine lines and wrinkles, as well as leave the skin looking firm and lifted. The LUNA™ 2 has 4 new brush designs and 2x the T-Sonic™ power, providing a tailor-made experience. Perfectly positioned thin and thick touch-points for a gentler or stronger cleanse depending on your skin’s needs. The extra powerful, deep cleansing LUNA™ 2 lasts an amazing 360 uses before needing a recharge from its simple usb charger (included). 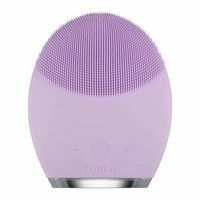 Fitting in the palm of your hand, the LUNA™ 2 is the perfect addition to your daily cleansing ritual, whether you are at home or on the go.REVEAL YOUR SKIN’S YOUTHFUL RADIANCEThe LUNA 2 goes beyond the standard facial cleansing brush by delivering real skin care results that you – and everyone else – will see. 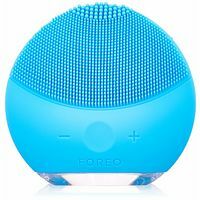 Indulge in a gentle 2-minute daily skin care routine and uncover a more luminous, refined and youthful look.ENHANCED T-SONIC FACIAL CLEANSINGThe next-generation LUNA 2 facial cleansing brush utilizes up to 2X the T-Sonic power to gently exfoliate dead skin cells, unclog pores of makeup residue, and remove up to 99.5% of dirt and oil. 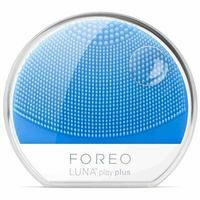 The LUNA 2 face brush also improves the absorption of your favorite skincare products.ADVANCED ANTI-AGING SKINCAREIts reverse anti-aging side uses lower-frequency pulsations to visibly reduce fine lines and wrinkles, as well as leave the skin looking firm and lifted.